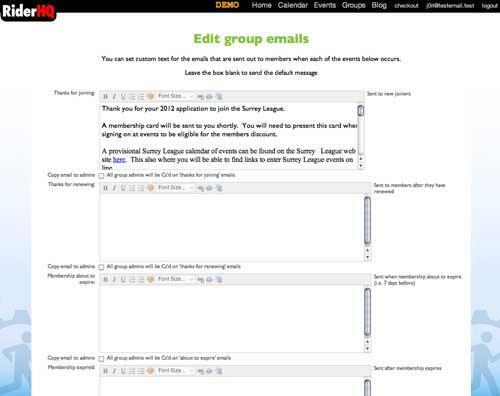 You can now customise the automated messages we send out to your club membership. By default we send out fairly short, to-the-point emails when members are up for renewal, after membership expires, when they join and so on. By ticking the box below each message you can opt to copy in the group admins on each email, this normally isn't necessary unless you like lots of emails, but is there in case you want to keep an eye things.